Ernie has just celebrated 25 years in real estate sales. Jarrod is a dynamic Property consultant and Auctioneer who has enjoyed over twenty successful years in the real estate industry with exceptional results. 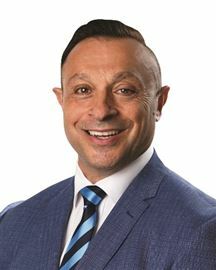 He is rated as one of the top Real Estate Agents in the Harcourts Real Estate Network and rated as one of the leading Auctioneers in South Australia. Jarrod has won the Southern Zone and been a Finalist in the Golden Gavel Awards multiple times. In 2004 Jarrod was appointed to one of the real estate industry’s highest positions, the President of the Society of Auctioneers and Appraisers SA Inc. All tremendous achievements! This can be attributed to his fierce desire to succeed, enthusiasm, diligent follow up and strong negotiation and people skills. Jarrod experienced the traditional path from Property Management into sales and Auctioneering, selling primarily in the inner southern suburbs. His Auctioneering skills take him to properties and locations all over Australia as his services are highly sought by a number of different real estate corporations. One of Jarrod’s attributes is his ability to provide meticulous follow-up and time management systems, which have greatly increased his volume of business. This coupled with fresh innovative ideas and his enormous motivation for success are reflected in what he does best - list and sell real estate. Having grown-up in the Mitcham Hills, his knowledge of the area is very comprehensive. Jarrod believes the key to success in Residential Sales is excellent marketing, thorough follow-up, courtesy and careful consideration when giving advice to clients who are buying and selling real estate. Harcourts Tagni is a family owned business and has a dedicated team of sales, property management and administration staff and an excellent corporate identity. The company offers a first class range of services to clients who prefer to experience doing business with a family owned company but also wish to harness the exposure of a national identity. More importantly, the people who make up the company are highly reputed and dedicated to achieving excellent results for their clients and Jarrod Tagni, as a Director of the company, is certainly an integral part of this team. 18 years of experience is here! 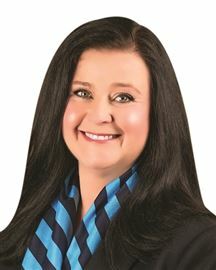 Yes that’s right, Belynda has been part of the Harcourts Team since 1996. Having worked with Adelaide’s best Real Estate Guru’s has given Belynda a wealth of knowledge of selling, marketing & negotiating Real Estate transactions. Belynda enjoys living and working in the area, she enjoys the lifestyle Southern Adelaide has to offer, and can answer your questions from child care to weekend enjoyment. Belynda has experienced the easy and tough market conditions and can provide you with a strategy to best suit your property to achieve the best price in the quickest possible time. Belynda strives on being Number 1 in her field, through hard work, quality and reliable service and dedication to her clients is why repeat and referral business is a key to her success! 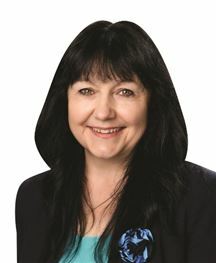 Make sure Belynda Nairn is the first you call when you are thinking of selling or buying real estate – Belynda will make your transaction Easy! Jennifer brings a practical and committed approach to getting your home sold! Her negotiation skills and commitment are second to none. Jennifer loves the area & has lived locally all her life. Talk to her about the beauty of the wineries of the South, the beaches or the hills…. Jennifer is SOLD! Jennifer has worked in the industry for almost 20 years. Her knowledge and attention to detail combined with her outstanding sense of humour creates an instant rapport with all who meet her. Repeat business is a huge part of her business. Jennifer is studying a Bachelor in Property Development and Valuation part-time. 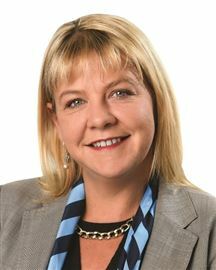 Her hobby is developing properties, and she has just sold two new properties in Dover Gardens that she developed. Whether it’s a portfolio you want to build, or just a sea change, Jennifer’s the one! Jennifer is involved in Sales, Property Management and Property Development, thus giving a well-rounded view of all aspects of Real Estate. Jennifer can cater to all your Real Estate needs now and into the future. Long-term Real Estate relationships is what Jennifer is all about. Call Jennifer for a chat today! No One Sells More Property Than US! 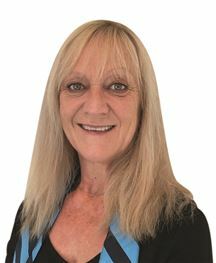 Julie has a very friendly work manner which will make you feel at ease throughout the whole process. By living locally for over 17 years she is in the best position to showcase the highlights of your home and its location. Julie possesses the key elements of a fresh and honest approach with excellent market knowledge that will help you achieve your goals. Julie will deliver a professional service designed to maximize the best possible result for your property while keeping you informed every step of the way ensuring the process is as stress free as possible. Julie has a history of exceeding expectations and she is highly recommended again and again by her past clients. As the winner of national and state awards Julie’s strive and determination combined with marketing expertise and strategic negotiation skills culminates into very happy clients! A real go getter with a dedication to Customer Service and a commitment to exceeding client expectations, Liz offers an enthusiastic approach to all your real estate needs. Now if you really want a local…..He’ll bring a really fresh approach to the sale of your home! Scott loves the area he lives and is passionate in the way he works. Talk to him about the beauty of the Sturt Gorge, the wineries of the South, the beaches or the hills….Scott is SOLD! As a top 10 sales person and principal, his knowledge, attention to detail combined with an outstanding sense of humour creates an instant rapport with all who meet him. Repeat business and word of mouth are huge assets in the sales arena….People come back to Scott Torney, time and time again. Ask them in 10 years time who sold their home…guaranteed they’ll know his name and have no hesitation recommending him! Courtyard Living at its Best! Come Home To The Quiet Life! So Sweet by the Sea! One Look is All You'll Need! When Size & Location Count! Cool it has a Pool! BIG & Solid Family Living! Time to Act Fast- Great Views! New Price - Vendors Say Sell! It's Got the Space & the WOW! Big Home! Big Views!Big Value! Invest or reside! You decide. Big & Beautiful Family Living! Invest - Retire - Start Out!